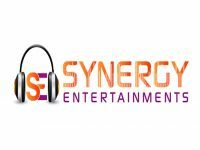 Synergy Entertainments provides professional wedding hosts and party DJ's based in East Anglia. We offer far more than your standard basic 'run of the mill' mobile disco. With over 20 years experience & extensive musical knowledge and a passion for making customers have the perfect evening that is the reason we are recommended and most of my bookings are by word of mouth - I don't just DJ for money it's for the love of making people's weddings and parties that extra special! I provide one of Norfolk's premiere Wedding DJ & Disco hire service offering you a quality service for your wedding, party or event. Synergy entertainments ensures we give you the best possible service. With all bookings a booking contract will be signed between you as the customer & us as the performers which will become binding; no stress or worrying about whether your DJ will turn up! If you are looking for something extra special for your evening and not just a standard disco then look no further than Synergy Entertainments. Required by many venues, Synergy Entertainments has a current PLI policy with Mobile DJ Network in the amount of £10 million. Also required by many venues, Synergy Entertainments has not provided satisfactory evidence of having current PAT records available. You may contact Synergy Entertainments directly using this form. If you are contacting Synergy Entertainments about an event, it's always a good idea to include the DATE, LOCATION, EVENT TYPE, AGE GROUP and TIMINGS to speed things up!